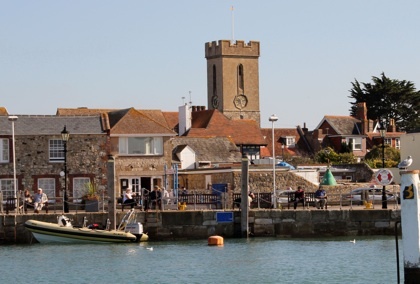 The most westerly harbour on the Isle of Wight, picturesque Yarmouth Harbour is the ‘Gateway to West Wight’. A scheduled car ferry service from Lymington to Yarmouth brings thousands of visitors to the Island every year. 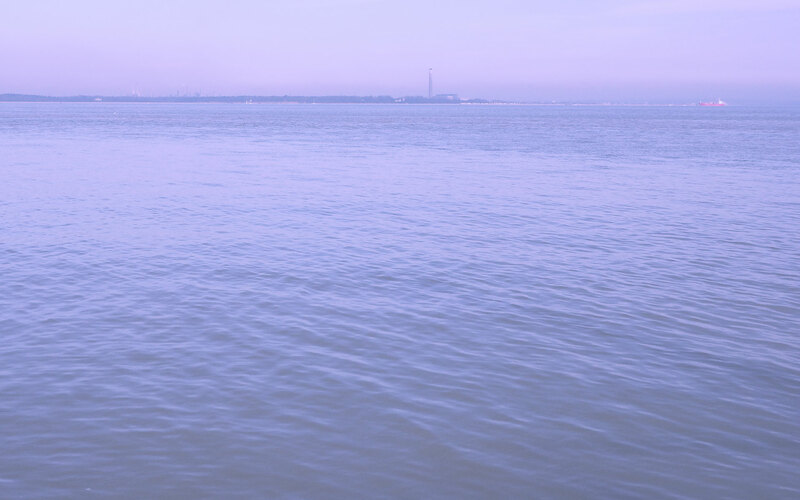 Yarmouth Harbour is the destination of choice for many boaters who travel from far and wide, many from elsewhere in the Solent, but also from the West Country, Ireland, the Channel Islands, France, Belgium, Holland, Germany, and Scandinavia. Its close proximity to the Needles and the English Channel makes it ideal for those entering or leaving the Solent. When approaching from the east, leave East Fairway buoy to port, turn onto a bearing of 187° and follow the leading marks. When approaching from the west, leave the Poole Belle buoy to starboard, turn onto a bearing of 187° and again, follow the leading marks. These are exhibited as two white diamonds with a black horizontal stripe by day or two green lights at night. Yarmouth Harbour is accessible at all states of the tide. The approaches are maintained at 2.5m below CD and 2m below CD inside the Harbour. Yarmouth Harbour operates on VHF Ch.68, Call Sign ‘Yarmouth Harbour’, monitored by the Harbour Office and Berthing Masters on the water. The water taxi operates on VHF Ch. 15, Call Sign ‘Harbour Taxi’ and can also be called on 07969 840173. Vessels approaching the harbour should call Yarmouth Harbour on VHF Ch.68 to request a berth or refuel. The fuel berth is easily accessible being near to the entrance and we offer competitively priced petrol and diesel. The fuel berth is open form 0700 hrs until 1900 hrs GMT and 24 hours BST. On spring tides the last hour of the flood and ebb can see strong tidal movement in the harbour entrance and in various parts of the harbour. There can be a double high tide or a long stand at Spring tides. The Berthing Team are afloat and will assist you to a berth. If you are short- handed or you require assistance the Berthing Masters will be on hand to assist you every step of the way. A slide guide titled ‘Arriving-How to Enter Yarmouth Harbour’ can be found on the home page of the Harbour website www.yarmouth- harbour.co.uk. Once here why not visit “Cockpit Essentials”, Yarmouth Harbour’s very own visitor refreshment lounge, where you can enjoy freshly ground coffee. Free Wi-Fi is provided and you can also charge your phones and devices while watching the news and weather on our new screens. We also have ice, toiletries, and other ‘essentials’ as well as various Isle of Wight products for you, your family and friends to enjoy. waste-disposal, glass recycling bins and gas sales. Our mooring fees remain competitive and now include free showers. We have also retained our popular short stay discount card, so make sure you have it stamped on every visit and enjoy a fifth short stay for free! There are several slipways that the public may use in Yarmouth. The largest slipway is on the corner between the South Quay and the Town Quay; accessed via the Wightlink marshalling area. If intending to pass through the Yar Swing Bridge into the river during the summer season please call Yar Bridge on VHF Ch.68. Boat owners are requested to co-operate by synchronising their bridge use around a schedule of fixed opening times, as published on www.yarmouth-harbour.co.uk. For winter operation, the bridge will be opened by prior arrangement with the Harbour Office, call sign ‘Yar Bridge’ on VHF Ch.68 or by phone on 01983 760321. The punctuality of boat arrivals to a close but safe proximity to the bridge is essential to prevent road traffic congestion. Yarmouth Harbour Commissioners were granted the powers of general and special direction and new General Directions came into force on 1st March 2012 replacing the Harbour’s previous Byelaws. Users of the harbour are asked to familiarise themselves with these new directions which are there to ensure your safety and enjoyment during your stay. They can be downloaded from the harbour website www.yarmouth-harbour.co.uk.